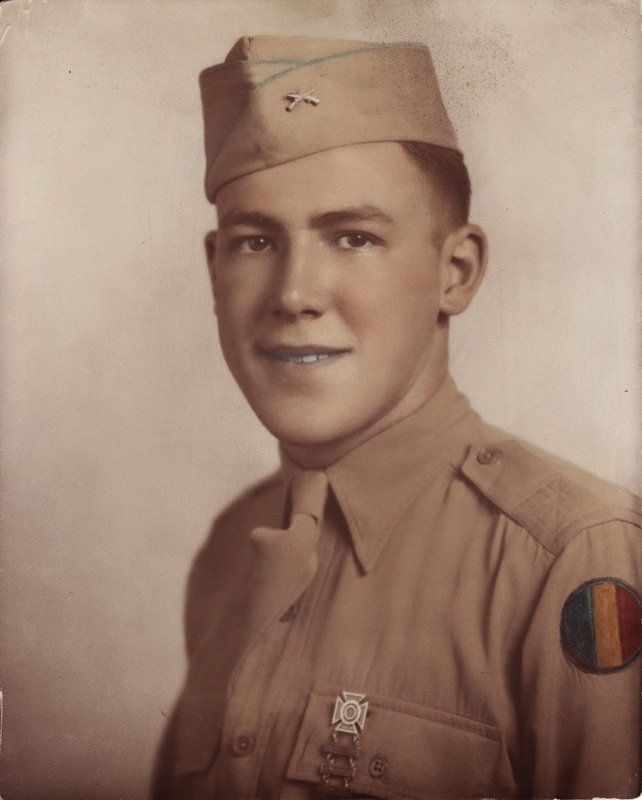 My grandfather Chuck Lowry graduated in 1944 as one of 800,000 new soldiers to complete Army Basic Training at Camp Blanding in Jacksonville, Florida. As is common still today, graduates of ‘basic’ take a formal portrait. It’s a chance to show off for parents and loved ones far away in a sharp looking Army uniform. Sadly, it’s the same photo we often see in the newspaper when a soldier is killed in action. My grandfather survived (barely) his combat experience in Northern France but had these two photos taken at Camp Blanding. In this set of photos, he is shown wearing the uniform of a recruit private. His uniform includes the patch of the Army Training Command as well as the Marksmanship Qualification Badge, including Sharpshooter qualifications with a rifle, carbine and one additional weapon that can’t be read. 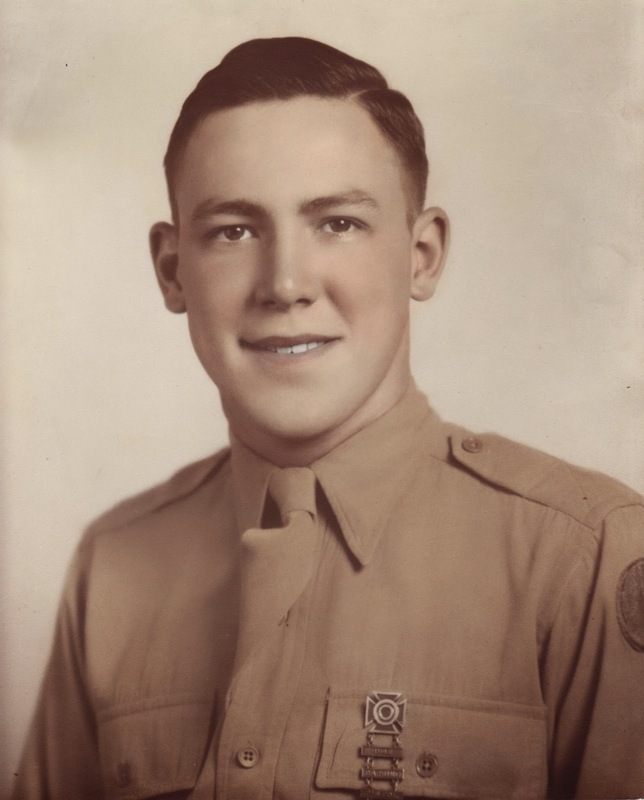 He would go on to earn the Purple Heart, Bronze Star, Combat Infantry Badge, campaign medals for the European-African-Middle Eastern Theater (with one service star) and American Campaign and the World War II Victory Medal.